Opening your pantry to find bugs is frustrating. This is a guide about preventing pantry pests. I hate bugs so I use my freezer to keep away the pantry pests. I mark the date and then freeze all of the cereal, flour, pasta, rice, etc that comes in the house for at least 3 days. I never have problems with vermin in my pantry anymore. I live in New Mexico and during the summer we have a plethora of bugs that can get into even the most protected food items. There are three things I do to keep bugs out. First, depending on the amount of food item, I will buy gallon or 1 1/2 gallon freezer or food storage bags to put the food item in. Second, I go to Walmart and buy the dog food storage container in the size I need. These are made to protect the dog food from bugs and I just make sure they are cleaned out really well before using. Then when the container is well dry I will take and put the food in the storage bags and place in my container. The third thing I do is put whole bay leaves and some whole sage leaves into the container on the sides. It takes about 5 bay leaves for the largest container I have that I use for my flour and about 2-3 pinches of bay leaves on the other two sides. I have had no problem with insect infestations since starting this. I buy my spices whole and in bulk to save money on those. The best thing I have ever found to keep pantry moths or any other pest from getting in your food is to put a bay leaf in the box or package after it is opened. There is something about a bay leaf that they hate. You can get these cheaply at a $1 store. Clean up spills in your cabinet quickly. 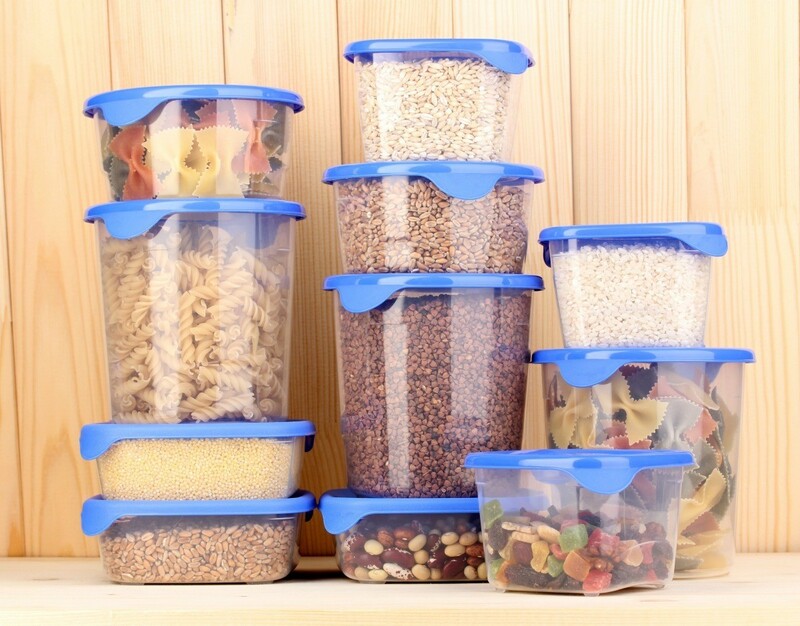 Store food in air tight plastic, glass or metal containers. Clean food storage areas at least once a year and inspect packaging for leaks. 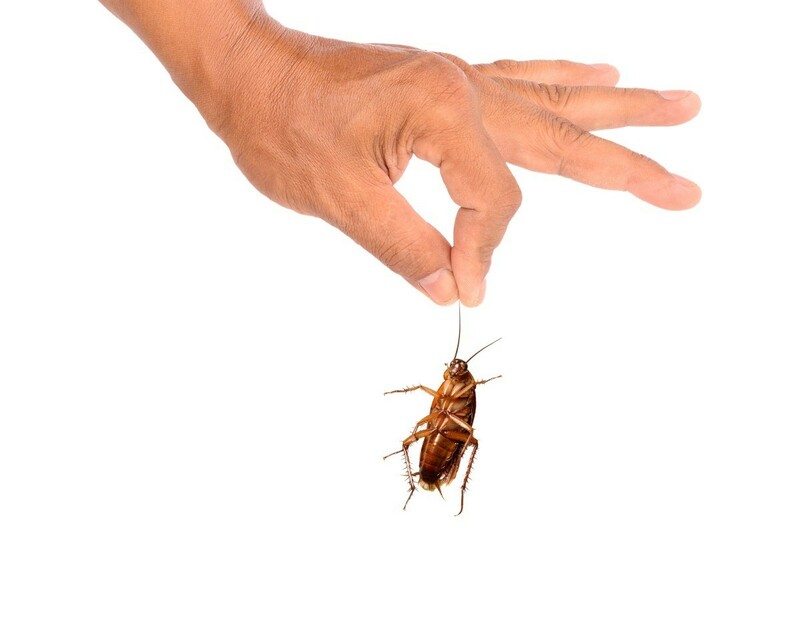 While it won't do anything about any little hitchhikers already in your food, bugs absolutely hate cedar, so sprinkling a few shavings or hanging up a little bag of it in your pantry may discourage anything investigating the place from hanging around. 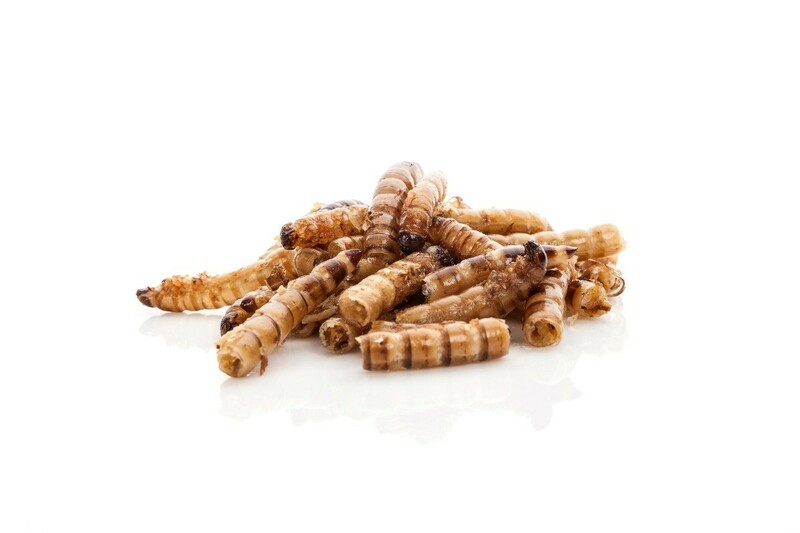 I find beetles and bugs infesting a dietary product containing whole grain cereals like barley, green gram, millet, wheat, and fenugreek even in well sealed packs. How can this be prevented? Can roasting the cereals before packing prevent infestation? Should I try washing, drying in sun and then roasting before packing them? I have similar problems here in Spain.My solution is to put the unopened packet in the freezer for a few days.This works for me. Any bugs and weevils don't have a chance to develop. I use the freezer to prevent the same problems with flour, pasta, dried beans, rice and other grains, and nuts and seeds. In fact, I use the freezer for long term storage of all these items, since I have a large one that opens in the front. Just take out the amount of product you need and allow to warm to room temrature. The warming is especially important for baking, when all your ingredients should be room temprature. I hope this helps. I find that storing any products that are whole grain in the fridge works well for me. I haven't had any problems with 'bugs' since I've started storing them this way :) Hope this helps! Try freezing the packets when new This should kill any ingrain beetle. When I stored quantity of wheat long term, I placed a toilet roll in container with garlic cloves embedded into toilet roll.Roll prevents moisture. Also make sure you store in glass containers with clip lids. They look like a black, round, small seed. How do I get rid of them? Is this an insect? From your description, it sounds like mouse droppings. Please give more details. 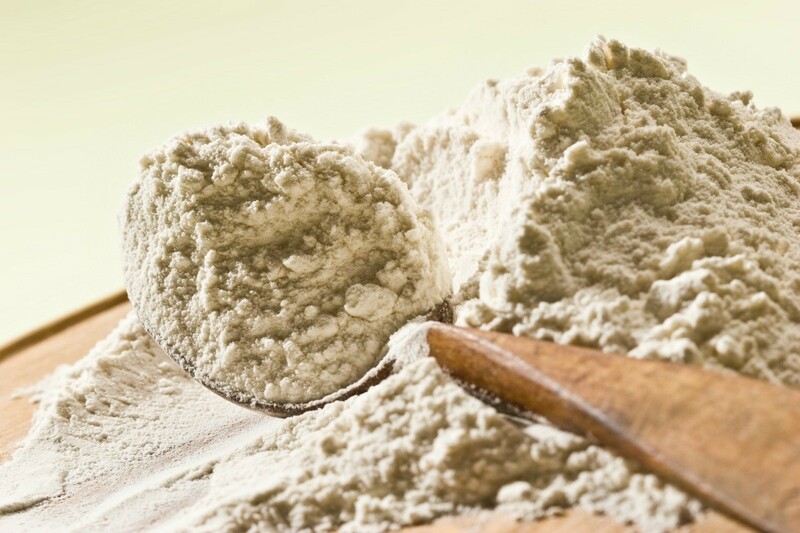 For insects, you could try diatomaceous earth. It is sold under a variety of names, but is non-toxic to people and pets. It kills insects by shredding their exoskeletons. Of course, if you have mice, it is a different problem entirely. Hi - I believe a friend of mine has a problem with this small round black "bug". they are definitely alive and not mouse droppings. We could not find any of these bugs in any food but they must come in with food. We cleaned all of her pantry - sprayed it down with vinegar - and then put borax at the back and sides of the shelves. This was about 4 weeks ago and she has seen some dead bugs but no live ones - but that does not mean they are gone! Hope someone can tell us more about them and why they are around food but not in boxes? I store my flour and cornmeal in freezer. Seems to keep it for long time. I buy small bags, instead of large bags. I thought about putting my Hungry Jack complete pancake mix in freezer. I have a professional company do my lawn, inside the house, and termite control. I have so many pests and they are treating my home for these. Recently I found a very small brown oval bug. The technician said it is a pantry pest. You can almost "see" them. I have also fought pantry bugs in the past. Keep everything in thick plastic or glass with tight lids. They can eat thru cereal boxes and thin plastic, such as what rice is bagged in. Don't leave standing water for them to drink. Wipe up spills they can feed on. We have very, tiny black bugs that have infested our pantry. They look like a speck of dirt until they move. They have infested our cereals and dry foods, such as soup mix. They move very slowly. What are they, and how the heck do we get rid of them? I've tried emptying and cleaning out the pantry once, but they came back. It sounds like flour weevils. they live in all flour products. So they are constantly coming into our houses. I finally got rid of mine by throwing out any flour product that was past pull date. Sounds like they like dried beans too... I am not surprised. At least they don't bite people. I learned this many years ago. Buy extra bay leaves just for pantry. 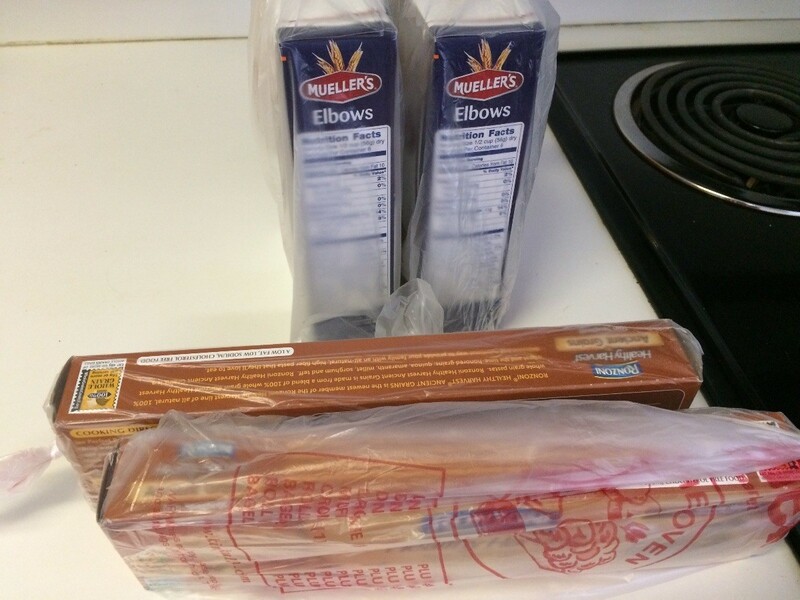 When you bring home a product like grain flour etc add about 4 to the box or package and close. They don't like it and they leave your pantry alone. We have had blessed relief for about 15 years now. These bugs I have are not any bug I can find on any web-site. They have been found in pasta, cereal, pancake and Bisquik batter, but not in or around the flour which they possibly could get into also. They are in all rooms, the basement included. We have even found them in Hidden Valley powdered seasoning mix. When they are crushed, they leave a chalky residue. I think I may have brought them into the house in an infested dry dog food package which I took back as soon as I noticed them, but I think the damage was already done. We have hung up fly strips by lights we leave on all nite and they end up just loaded with these bugs. Help please! **Throw out all packages of any type of grain product, opened and unopened. This includes all you have repacked in glass, etc. as they are all suspect. **Thoroughly clean out all pantry storage areas with a bleach cleaner. **From now on, use this freezer practice to avoid future problems-place every new package (not opened!!!) in your freezer for at least 24 hours. This will kill all pests and their eggs. If you find new pests in the future, you may have missed an old package or forgot to freeze a new purchase. If so, you must repeat the above method to return to a bug free state. I have been told that leaves from eucalyptus trees on the shelves and in containers will keeps bugs out of food. Is this true? I'm sorry. I don't know how to do photos on the computer. I don't know about eucalyptus leaves, but I know that bay leaves will keep bugs out of flour. Hope this helps. I have what look like little brown worms in my wooden salad bowl. I rarely use it, but when I do I either find one alive or the shell of what was there. What is it? How do I get rid of them? Are they harmful? It's possible you have woodworm in the bowl. If so, it will endanger any wooden furniture, cupboards etc. Tips for preventing mealy bugs. Post your ideas. I have kitchen supplies (some spices like onion seeds, fenugreek seeds, chilly powder, cinnamon, pepper, etc.) stored in plastic containers. Different items are separately packaged and stored away in these containers, but I keep having these tiny thick-skinned brown bugs in the container, ruining almost "all" the items. I disposed off the old supplies, cleaned and disinfected the containers and put in new supplies. Lo and behold! They are back in another month and have ruined my supplies again. Strange thing, I don't even know what to call them. Help needed badly! 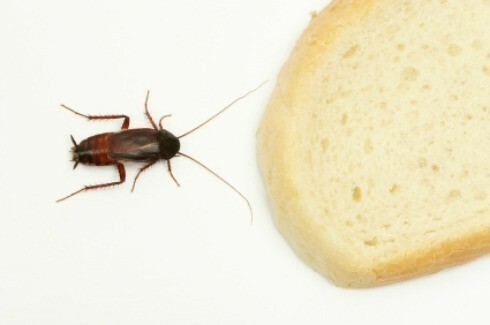 Pantry pests can ruin your food stores very quickly. 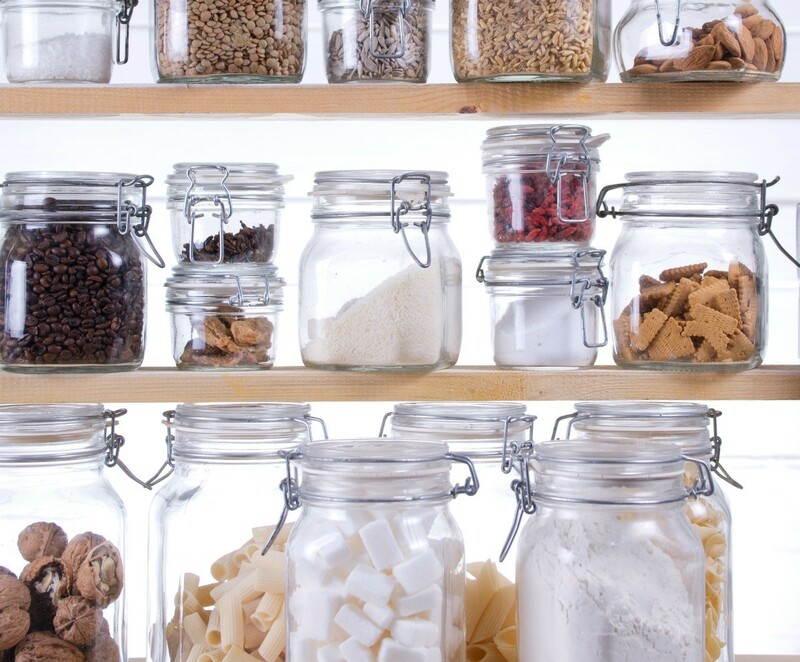 Keeping your pantry space and storage containers clean and dry is the best way to prevent pests from infesting. This is a guide about keeping pests out of the pantry. 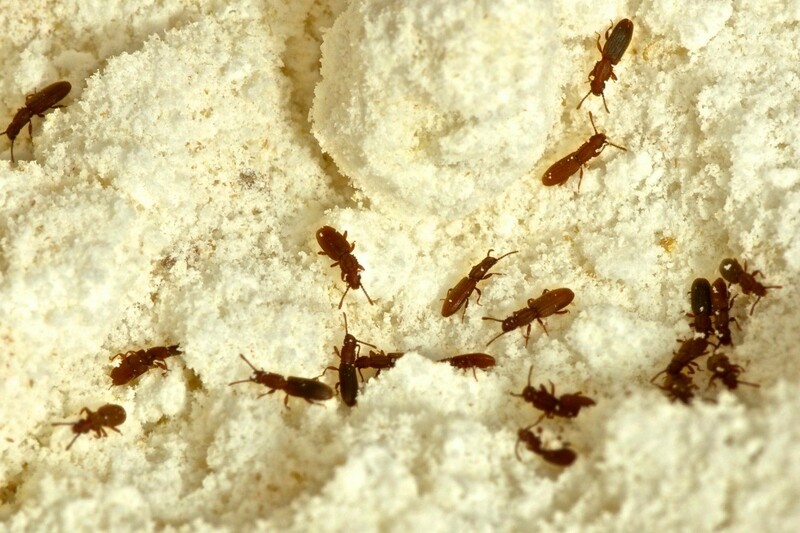 Pantry pests can be a disgusting problem in your home. This article looks at some of the most common pantry pests and how to eliminate them. This is a guide about keeping worms out of flour and oatmeal. Briefly storing flour and oatmeal in the freezer can help kill any bugs or larvae that might be present. Then storing everything in well sealed containers is the best way to keep any new bugs out. Many consumers prevent the explosion of pantry moths and weevils, by freezing their dry goods when brought home from the store. There are other methods to try as well. This is a guide about keeping bugs out of plastic food containers. The last thing you want to discover when you go to make breakfast is bugs in your pancake mix. This page offers advice about how to avoid bugs in your pancake mix. When you see bugs in your jars of dry goods in the pantry, generally either the jar is not airtight, or the bugs hatched after your purchase. This is a guide about bugs appearing in airtight flour jars.